Care should reflect and recognize the elements that make us human: the biopsychosocial approach. Instilling and/or restoring patient self-efficacy using active treatment strategies is paramount. Healthcare interactions should utilise principles of therapeutic alliance and shared decision making. Patient preferences and clinical experience should then guide what evidence-based treatment we apply and how we apply it. It’s effects on pain and function are short-term and deemed low value. Language surrounding manual therapy can be nocebic. Manual therapy can lead to patient dependency and may reduce self-efficacy. It interferes with natural history leading to prolonged disability. Some arguments against manual therapy usually begin with its transient nature, discuss its low value and continue to point to its minimal effectiveness over the long term. However, this is by no means conclusive. In a well conducted trial for cervicogenic headaches, Jull et al. found that manual therapy and exercise were both highly effective in reducing headache frequency and intensity1. Similarly, Abbott et al. 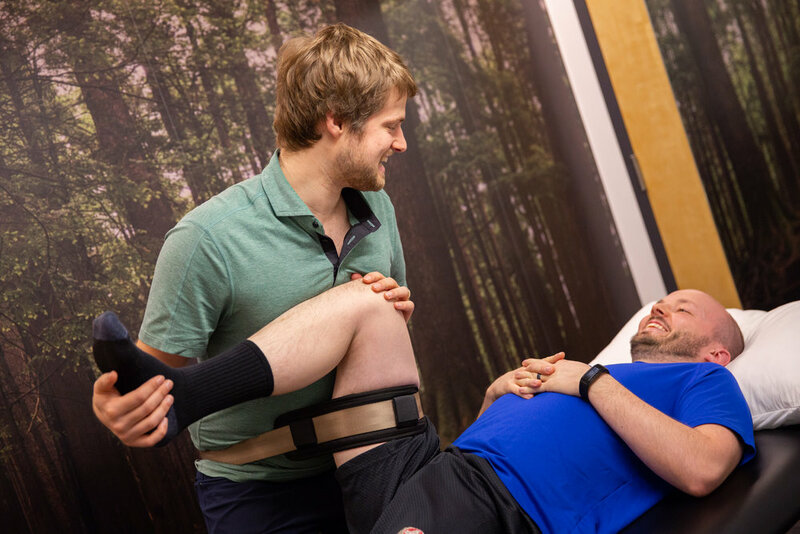 conducted an RCT which found that a manual therapy group and an exercise group had similar benefits on function and other physical performance tests in patients with knee and hip osteoarthritis that was sustained at one year2. Additionally, it has been demonstrated that patients with neck pain only receiving manual therapy recovered faster and more cost-effectively compared to GP care or physiotherapy3. Despite these findings, what is very clear from the research is that manual therapy is not a magic bullet cure for, well, anything. That said, manual therapy can still have a place in multimodal musculoskeletal care; however, significant changes need to be made to the way it is typically implemented. Newer PostPART 2: In with the new … What should manual therapy look like in a modern physiotherapy practice?